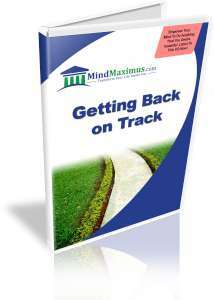 Fill in your name and email to get your free Success Accelerator CD. Distractions are an unavoidable aspect of whatever we do. We receive phone calls, text messages, emails and instant messages that constantly interrupt our thought process and our actions. Add to all of this our natural tendencies to procrastinate and we inevitably become highly unproductive workers. This unfortunately leads us to delay the achievement of our goals and saps away our energy and motivation to complete our every day tasks on time. Do you constantly find it hard to stay focused on the job at hand? Are you always side-tracking from what you were originally doing? Do you feel like you can get so many more things done, if only there weren’t so many distractions around you? Have you always wished to be able to focus your mind on the important tasks at hand, and pay little attention to the unimportant distractions? Our brains are naturally wired to think about one thing at a time. The more we have on our minds, the less we’ll be able to perform well at any one given task. Thankfully, with today’s advanced technology, we can now virtually train our minds to pay little attention to insignificant distractions and effectively allocate our energies to achieving the success that we rightfully deserve! So Don’t Wait Any Longer, Order Now! No reviews on B05 Getting Back On Track so far. Spam protection: Sum of 6 + 8 ?